If there’s one thing the internet is good for, it’s improving your life by using items that were never intended to be used that way, all through the gift of Life Hacks. And hair hacks are no different. Whether you’re trying to improve your hair color or reduce static frizz or get textured hair, there are some weird hair care hacks for that. If you have a dryer sheet and a wire brush, say goodbye to frizz-bomb hair. Simply press the dryer sheet over the ends of the wires, and push the sheet so it’s on the brush with the wires sticking through the sheet. Then simply brush your hair. To help hair become shinier and less dry, and reduce buildup, coat hair in beer after shampooing. Let it sit for a few minutes and then rinse it out. Then condition as normal. This might seem goofy (you wouldn’t think a pillow would make that big of a difference), so it’s a weird hair care hack that’s worth mentioning. Silk pillowcases actually reduce hair damage by putting less friction on your hair at night as you toss and turn. There’s a couple ways you can go about this. You can use a clean toothbrush to tease your hair at the roots by brushing towards the scalp. Or you can spray thick hold hair spray on the toothbrush and use it to brush down flyways. 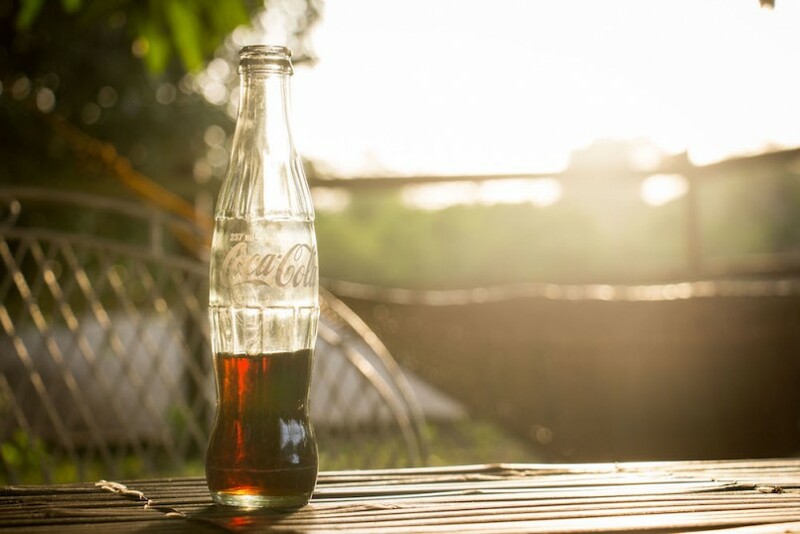 Many people swear by a Coca-Cola rinse to get their hair textured, shiny and full of volume. It’s been something of a fad in Hollywood, as Suki Waterhouse popularized it. Simply douse your hair in the soda, rinse it out in the shower and dry like normal (air or hair dryer) for textured beach waves. Are you a brunette with brassy orange hair that’s seen too much sun? Rinsing brunette hair with grape Kool-Aid can help take care of the orange tones. Who says eye shadow should just be used on the eyes? Ok, maybe the manufacturer, but there’s no harm in using it on your hair part to make it look thicker. Simply load up a medium-sized brush with eye shadow that matches your hair color and dab it along your hair part. That will cover up your scalp better. To cut back on frizz, dry your hair with a cotton t-shirt instead of a towel. Then blow dry on a low setting. That will cut back on the friction, and thus the frizz. Use coconut oil or olive oil to protect your hair from chlorine. Simply coat your hair before you hop in the pool to create a barrier between your hair and the chlorine. Michelle Lovrine Honeyager is a freelance writer living in Southeastern Wisconsin. You can find out more about her at https://www.clippings.me/michellelovrine.